Each class, from newborns to those who are ready for more advanced musical training, has been carefully designed to match your child’s current developmental level. In addition, our teachers take the time to tailor activities to best fit the makeup of each individual class. Kindermusik classes sound like a lot of fun, but what will my child learn about music? To the casual observer, it might indeed look like we are just playing and having fun. 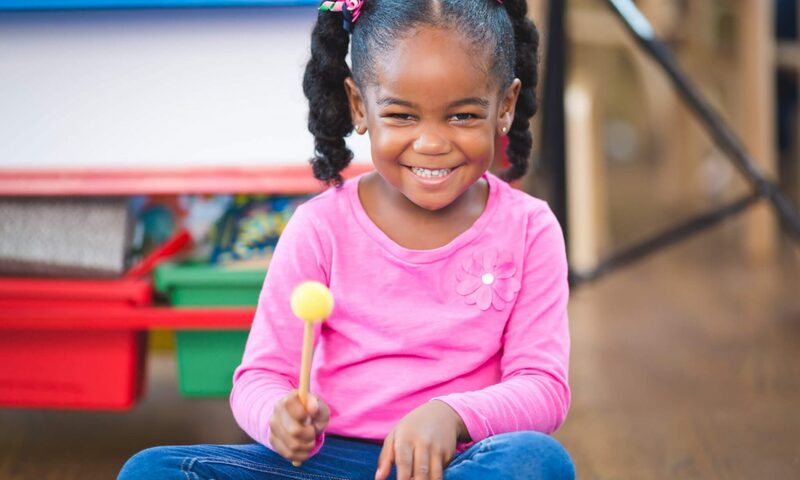 While the approach is necessarily and appropriately playful, every aspect of the Kindermusik curriculum is built upon a solid musical and developmental foundation. How does Kindermusik benefit me as a parent? Kindermusik acknowledges that you are your child’s first and most important teacher, and your Kindermusik classes and Home Materials will empower you with the knowledge and tools to bring the love of learning and love of music to your child. Kindermusik is truly the essence of “quality time,” offering you a place to create special memories with your child and gain new insights into your child’s development. I plan to have my child take music lessons later on. Why enroll in Kindermusik now? Instinctively, we know that music belongs in the life of young children; young children are ready for music, they are in their critical period for developing a good foundation in music, and full musical potential is often lost if it is not nurtured and maintained in these early years. With Kindermusik, parent-child interaction is fostered, socialization with other children is encouraged, fine-motor and gross-motor development is enhanced, and language skills flourish. Children learn valuable school readiness skills as a rich musical foundation is laid. 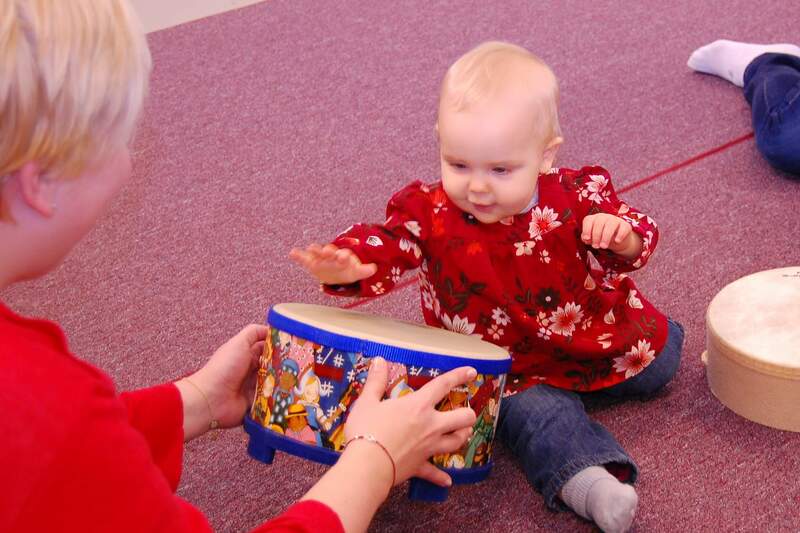 So how do babies and toddlers benefit from their own music class? Scientists tell us that infants are born with billions of nerve cells and a nearly unlimited potential for connections between those nerve cells. Every time an infant has a sensory experience, neural pathways are formed. The greater the number of neural pathways, the greater the brain power. Rich sensory environments are vital to the brain development of infants. Our teacher fully believed in the program and it came across to the parents. She regularly shared information that helped us to see what benefits our children were deriving from the activities. She also constantly gave suggestions for how to participate in the activities with different age groups. Everyone had ideas to participate in a manner that was appropriate for their child. The different ages in the class were wonderful. Parents with infants were enjoying seeing the activities of the older ones and the older children interacted so cute with everyone. There was so much sharing and kindness between the children and parents. We were constantly amazed. I want to enroll my child in preschool and maybe also dance or karate. Why do Kindermusik? Many of the benefits of the other activities – such as promoting physical coordination and social skills, providing a structured routine, building self- esteem and developing talents and cognitive abilities – are actually all encompassed in a Kindermusik class. The opportunity to creatively express their individual imaginations through the combination singing, moving, and playing instruments activities is unique to Kindermusik. My child has special developmental challenges. Is it still okay to enroll in Kindermusik? I am interested in private music lessons. Why do Kindermusik instead? In our Young Child and Big Kids classes, children learn vital foundational music skills while they are exposed to a variety of musical concepts and instruments. Using the principles of Suzuki, Kodály, Dalcroze and Orff, students explore many facets of the musical experience-speaking, singing, moving, dancing, listening, creating and playing instruments, as well as learning to read and write music. 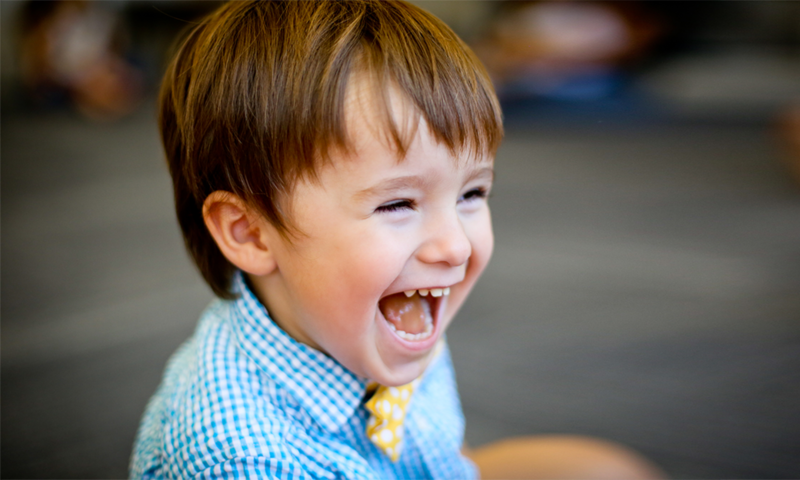 The children develop a confident, joyful voice for singing and speaking as well as essential building blocks for a future of successful learning. Let’s talk finances. Why doesn’t Kindermusik cost less? Kindermusik is the leader in Early Childhood Music and Movement programs. Being a part of Kindermusik ensures that you get an exceptional product and an exceptional experience. Kindermusik is the “designer” label as opposed to the “generic” or “in-store” label. Kindermusik regularly consults with experts in the field of Early Childhood development, music and movement as they develop their curricula. These experts, along with an amazing team at Kindermusik International, bring their knowledge and experience into your lives. No other curriculum can boast of such backing. The materials produced by Kindermusik International are of the highest quality. With your Home Materials, your classroom experience can continue at home (or in the car, the doctor’s office office, or grocery store) every day of the week! If you compare apples to apples, Kindermusik is actually often less expensive than other programs. There are no costume fees, recital fees, instrument rentals, or additional purchases required. With Kindermusik “you get what you pay for” – and then some! Kindermusik almost sounds TOO good to be true. It can’t really be all that wonderful…can it? Next PostNext Musical Activities for Halloween!